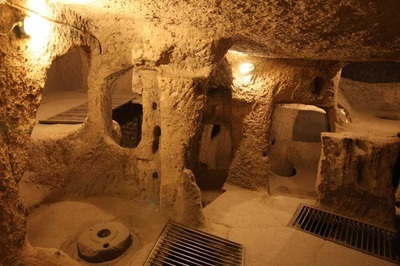 The widest, enchanting, one of the most famous and wonderful underground city in Cappadocia, Kaymaklı Underground City is situated on Ihlara Road, 10 kms far from Derinkuyu, another deepest fascinating underground city and 20 kms from Nevsehir. Miraculously well protected and maintained structure is a part of UNESCO World Heritage Site. Established under a great hill well known as the Citadel or Sanctuary of Kaymaklı, this wonder land underground city’ history dates back Hittites and Phrygians Period, in B.C 3000. Today from past it has been used various purposes in different times. Due to its soft volcanic rock, Kaymaklı people built this splendid underground city around their homes for the security reasons. 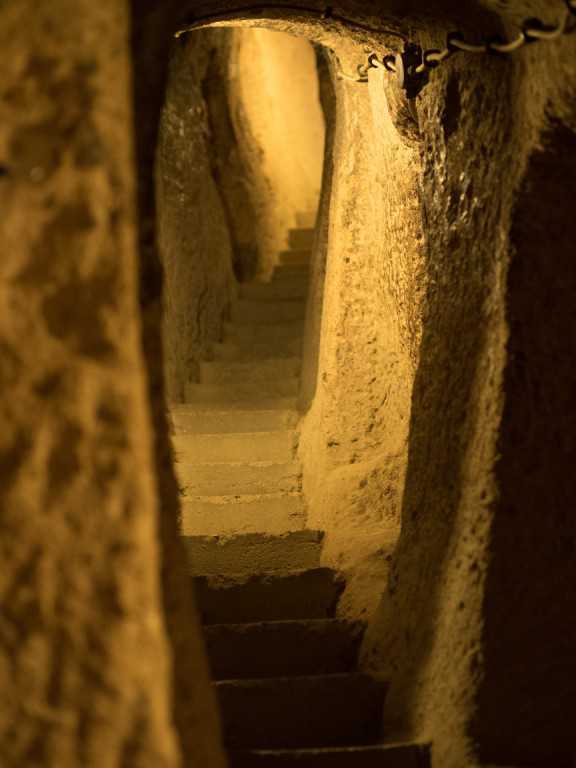 Also there are found special, secret tunnels connected to underground city and those houses. Whenever there was happened any attacks, they could temporarily use these private tunnels to pass the underground masterpiece in order to protect themselves. 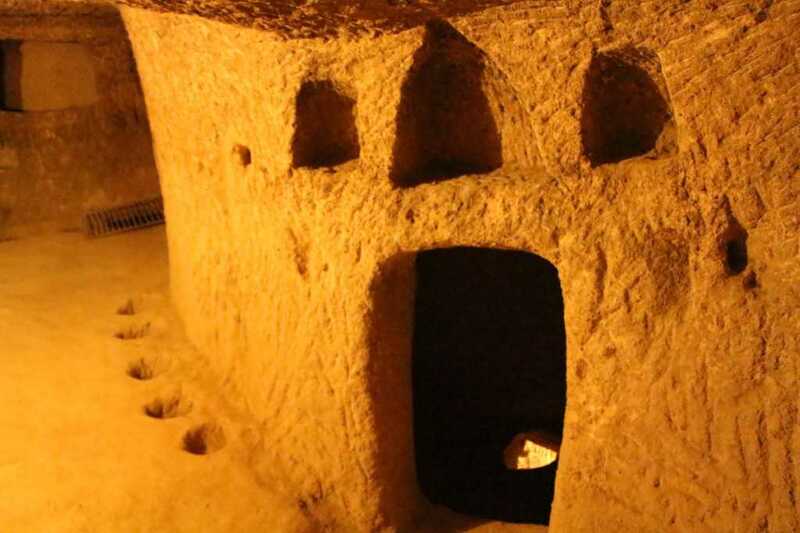 Additionally, it was used by earliest Christians living in the region from 4th century to guard them from religious tortures by building caves and elaborate labyrinth of narrow tunnels and traps for enemies. Thus today, it is seen that there is located a church, a graveyard, stables, living spaces and communal kitchens within this breath-taking structure. Also it is thought that approximately 3,500 people once lived here. The city was opened to visitors in 1964 but only 4 of the 8 levels are useable. 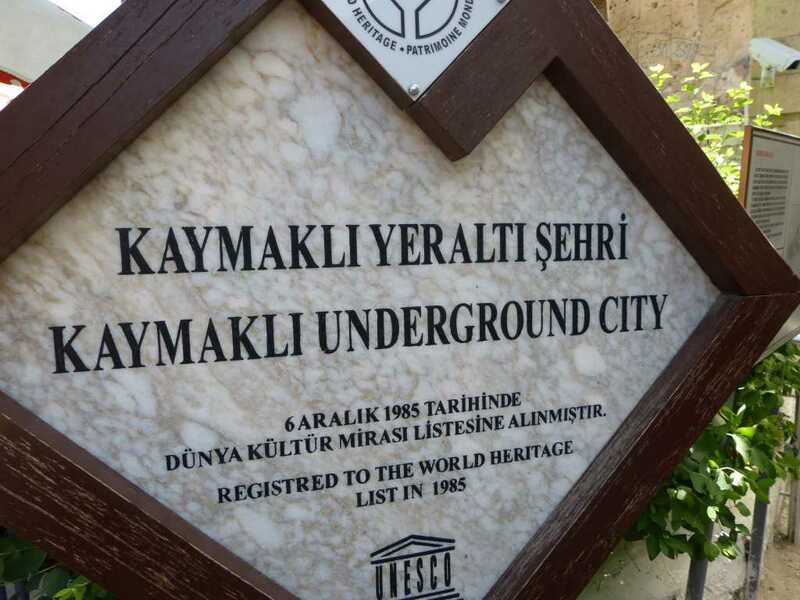 Except for those features, the architectural speciality of Kaymaklı Underground City (ancient name’ ’Enegup’’ in Greek) grabs the people. 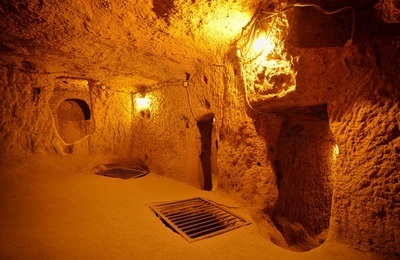 The versatile location, interesting cultural value of Cappadocia, includes sitting places, stables, storages areas, cellars, marvellous ground stones, churches, wineries, kitchens, storage rooms for the state of any emergency. Furthermore, it contains ventilation holes and main chimneys which are the perfect system, bolt stones used as a defence and a mechanism providing the communication in between those floors. It has four particular sections or storeys uncovered. The first floor was used an animal house. Generally, the barns were taken a place in the main storeys for hard to take animals downstairs. Until 1960’s, around the people of it worked this section as a storehouse. The second floor consists of a church with two abscissas surrogated baptism stones and with only core. Also it is placed the graveyard belonging to the important, authorised people near the church. The third storey is larger and fresh than the others. This part especially was used supply store. Therefore, it contains many sections to keep the wine, wheat and flour. There are found huge food storages in the fourth floor. 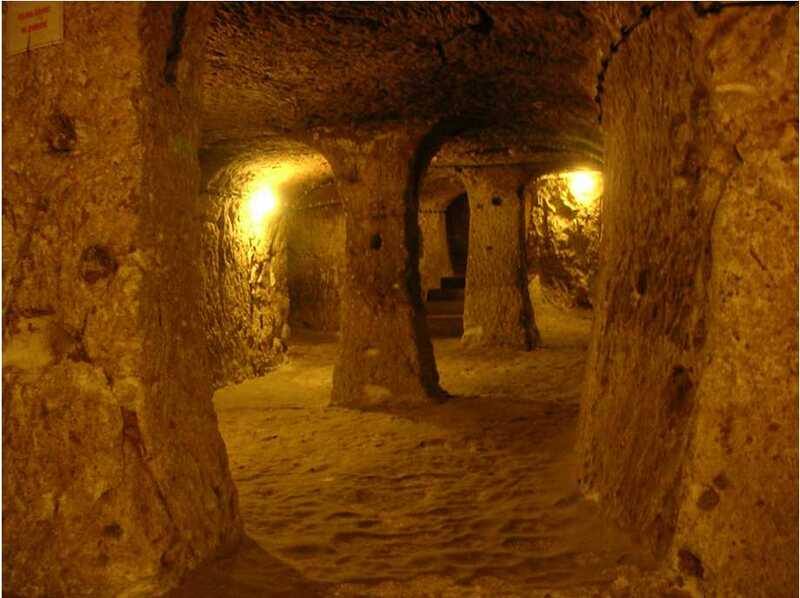 It has narrow tunnels to weaken the enemy. It composes of private kitchen and flour furnaces. This reflects us underground city public has a regularly economy living.